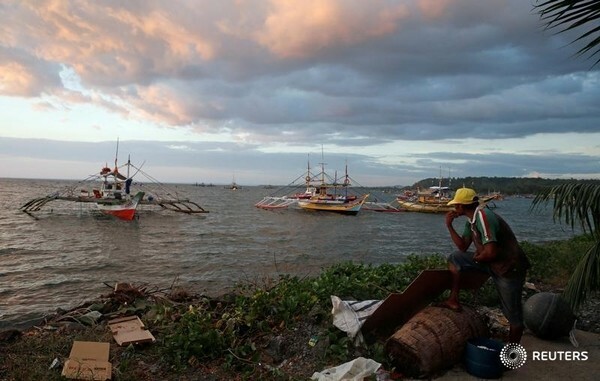 (Reuters) — Armed men killed eight fishermen in what appeared to be an attack by pirates in dangerous waters in the southern Philippines, a coast guard spokesman said on Tuesday. The apparent act of piracy came as Philippine soldiers were given a six-month deadline to end Islamist militant threats, including those made on cargo ships in south, where a long-festering insurgency has been exacerbated by the growing influence of the Islamic State militant group. About two dozen sailors and tourists were taken captive by Islamist militants last year in attacks on tug boats and yachts in the Celebes and Sulu seas, raising concerns among defense officials from Indonesia, Malaysia and the Philippines about Islamist militancy and piracy. Coast guard spokesman Commander Armand Balilo said a Filipino fishing boat with 15 crew on board was operating off Laud Siromon island near the Zamboanga peninsula on Monday night when five armed men on a speed boat attacked them. "The attackers opened fire at the fishermen," Balilo said. He said eight were killed and another five men jumped overboard and swam to a nearby island. Two others who remained on the boat were unharmed. "We consider this a piracy attack. If these were Islamist militants, they would have been taken captive and held for ransom," Balilo said. He said the attackers fled in the darkness and two coast guard ships were sent to the area to search for them. Last month, a container ship repulsed an attack by members of the Islamic State-linked Abu Sayyaf group who attempted to board the vessel and abduct the crew, the coast guard has said. Defence Minister Delfin Lorenzana said the military had been ordered to end threats from Abu Sayyaf within six months, with more troops to be poured into the area while a ceasefire agreement with Maoist-led guerrillas holds. "That is our target," Lorenzana told reporters. "We will just have to do all we can, combining military operations and developmental projects to end what they are doing," he said. The small but violent Abu Sayyaf group, known in the south for kidnapping, extortion, and beheadings, has been holding about two dozen captives, including Dutch, German, Japanese, Indonesian, Malaysian and Vietnamese nationals.